* Deputies with the Richland County Sheriff's Office and NSA President Sheriff Fitzgerald. Every January, USAonWatch-Neighborhood Watch staff set out to collect award nominations that reflect the positive impact of watch programs throughout America. Over the last eight years, staff has sorted through more than 500 nominations. Found among those nominations are numerous stories, ideas, and new approaches which then are reflected in publications by USAonWatch throughout the next year. It is never easy for field experts, former award winners, volunteers, staff and other advisors to select the next award winners. Recognizing and honoring those law enforcement agencies, watch groups, organizations, and programs making exceptional contributions to promote neighborhood watch and public safety in their communities is the goal. The award program was first established in 2004 as the Neighborhood Watch Awards of Excellence Program by the National Sheriffs' Association (NSA). Since the beginning, NSA's partner in the awards has been the Bureau of Justice Assistance (BJA), Office of Justice Programs (OJP), U.S. Department of Justice (DOJ). BJA has been a great partner of NSA over the years. It just so happens many of the past law enforcement agencies recognized have used funds provided by BJA to facilitate and support their efforts with watch groups. At NSA’s Second General Session on June 19th, this year’s four awards were presented in Nashville, Tennessee. The year our recipients have shown dedication to the core elements of the watch program concept while building those efforts to make positive impacts in their community. While each recipients approach to a bit different it is geared to the needs of their community to strengthen public safety for all. We hope you gain some ideas for your program or group from the below winners. The Richland County Sheriff’s Office has over 384,000 residents and is responsible for more than 750 square miles. In 1998, the Sheriff created the Community Action Team (C.A.T.) with the mission to create partnerships with citizens who previously did not trust law enforcement. In the time since, they have organized over 275 Neighborhood and Business Watch organizations and constantly work to empower citizens. The C.A.T. attends community meetings, gathers information about special needs in neighborhoods, and serves as an important community liaison for the agency. Through this innovative approach the community and agency have developed multiple long term solutions to specific crime problems. Recently, the agency is working to stay connected through mobile technology. The agency’s mobile app partnership is helping to encourage citizens to report emergency information via their Smartphone. Further, by providing Citizen Police Academies, building partnerships in the community, and working with watch groups, the Sheriff’s Office is building a united partnership for public safety. The Lynchburg Police Department’s mission is to preserve the peace and maintain order in the city. 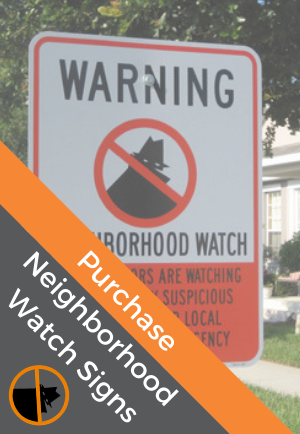 To facilitate this, the Department’s Crime Prevention Unit manages and promotes the strong connections created between citizens and law enforcement through the Neighborhood Watch Program. More than 40 active watch groups are throughout the city. The Unit also handles creating Business Watch groups and working with schools. Two main events that watch groups come together for in Lynchburg each year are the Lynchburg Night Out in September and an Annual Partnership Meeting held every March. Not to mention, multiple other smaller events throughout the year are organized by individual groups and community groups to help foster the important relationship between Police and citizens. Throughout the year, the agency offers educational presentations on topics such as Wild Animal Safety, Security Assessments, Target Hardening, Halloween and Holiday Safety. Quarterly the agency distributes a newsletter on seasonal tips to all watch group members. As a public service the agency partners with their local ABC station to feature bi-weekly safety information. Anderson Township has a population of 43,446 residents and a total area of 31.2 square miles. A combination of local citizens, businesses, the Hamilton County Sheriff’s Office, and community officials with the goal of building positive community relations via Neighborhood Watch Groups make up the Anderson Township Community Outreach Network. As a result of working with the Hamilton County Sheriff’s Office to have a “full-time” Crime Prevention Officer, the township went from having about 10 watch groups to now having 80 active groups. Those 80 groups relate to about one watch for every 543 residents in the community. The Network communicates daily via e-mail/phone with around 337 established community contacts (including 90 neighborhood watch contacts) on a variety of important topics such as tips on burglar prevention. Through the continued work of the watch groups, vandalism and car break-ins have stopped. The continuous support, promotion and belief in the watch program by community leaders have helped create a vital partnership with citizens to redevelop the township. Congratulations to the Richland County Sheriff’s Office; Lynchburg Police Department, Anderson Township Community Action Network, and the West Scranton Hyde Park Neighborhood Watch Group for their efforts to keep their community safe! USAonWatch-Neighborhood Watch and NSA would like to encourage you to do what this year’s awardees’ have done and let us know your accomplishments. The 2013 award nominations will begin to be collected January 1, 2013. USAonWatch-Neighborhood Watch managed by NSA and funded by BJA.